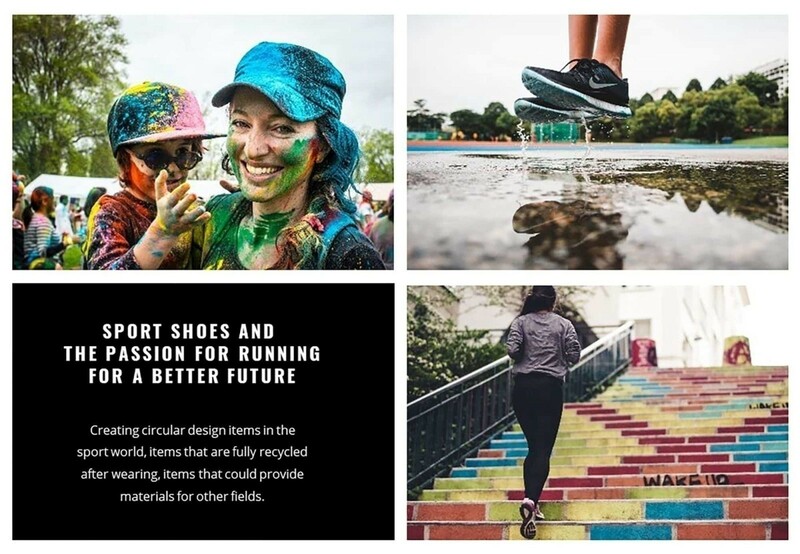 Nike has started a recycling campaign which only purpose is to collect used shoes and to transform them into reusable materials. 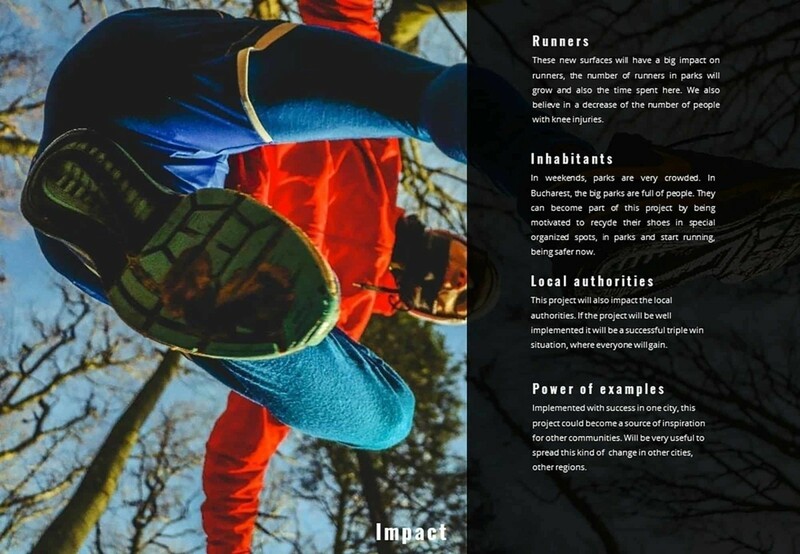 Their proposal is to use this resulted material to build shock absorbing surfaces that are implemented in schools sport grounds, running tracks or even in the creation of new shoes. Their idea comes to meet the necessity of creating a better world, of recycling in order to save the nature surrounding us. 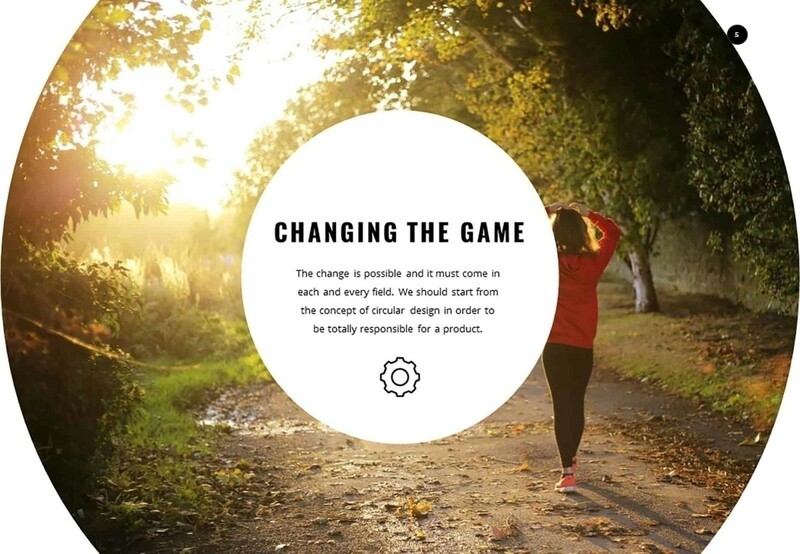 We, at Toud, salute Nike’s initiative as we are interested in sustainable development. We try every time we have the chance to make something for nature, to leave a better world behind us for those who come after. We are glad to get involved in any kind of project that is connected to sustainable development, environment protection and development or protection of local culture. 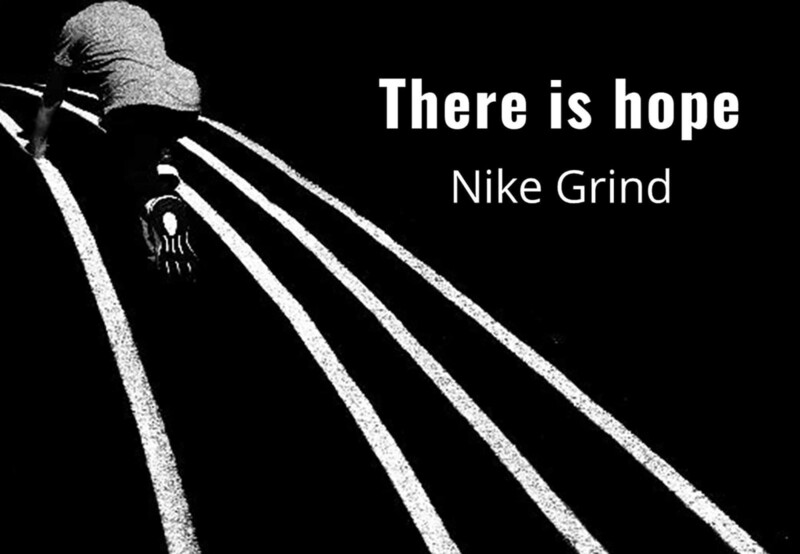 That is why we have chosen to answer Nike’s call to actively take part to Nike Grind. 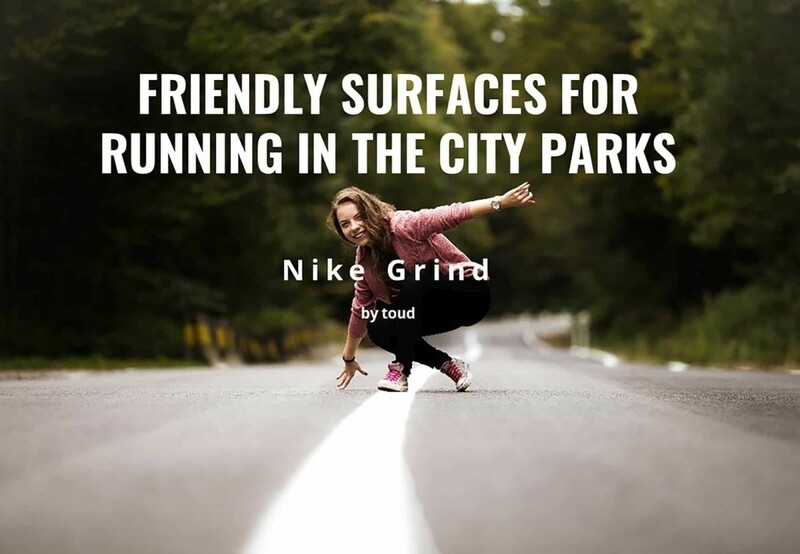 So we have developed a plan to promote and implement Nike Grind system in Romania in order to improve the life of those who choose to run in parks. 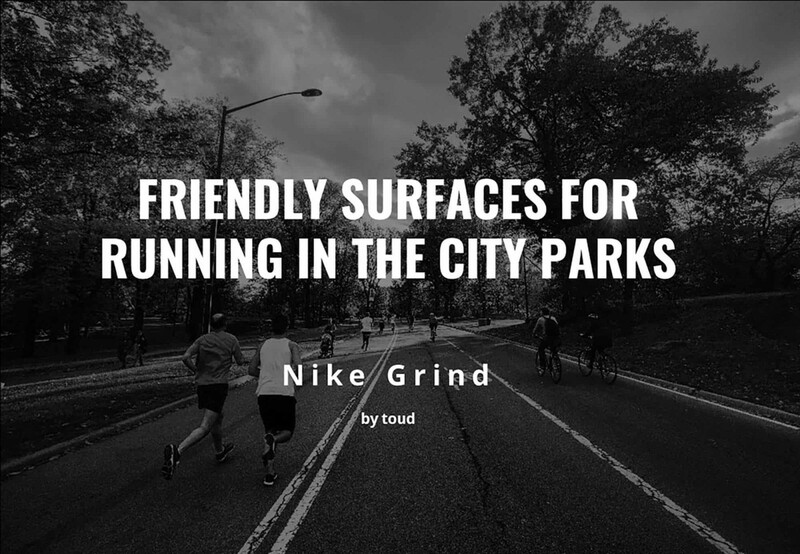 There are lots of people who choose to go for a run in the park, but all they can find are alleys covered in asphalt, places that are not quite good for running as they are too rigid and affect the joints. For those who often run, like a few times a week, it would be ideal to do it on soft, flexible surfaces, in order to reduce the socks generated in their joints. Nevertheless, there is a big problem with recycling materials. As Romanian people are not yet very inclined to recycle, a lot of waste goes to trash without having the chance to be transformed into something useful. 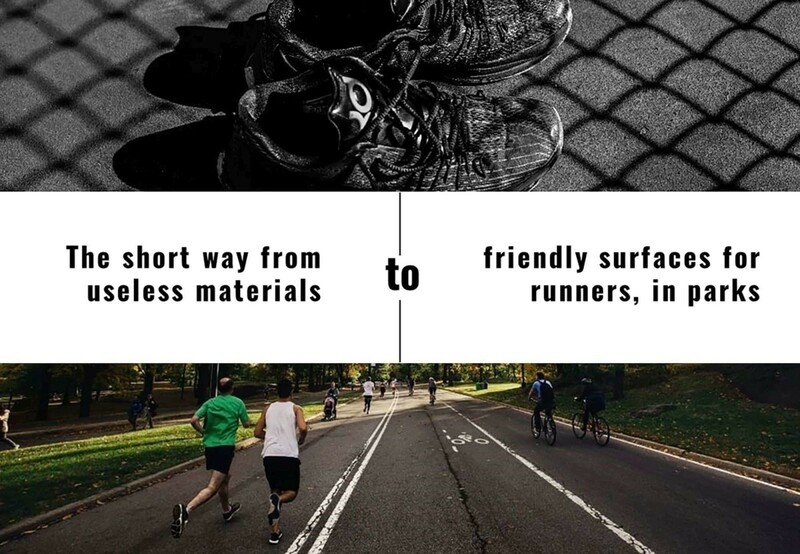 At Toud, we have made an analysis of the situation of the running surfaces in Romania and we have proposed a complex solution through which the alleys in parks can become real running tracks. This transformation is based on Nike Grind solutions – basically recycled shoes. In order to manage to present this solution to Nike team, we have chosen as support PowerPoint presentation. 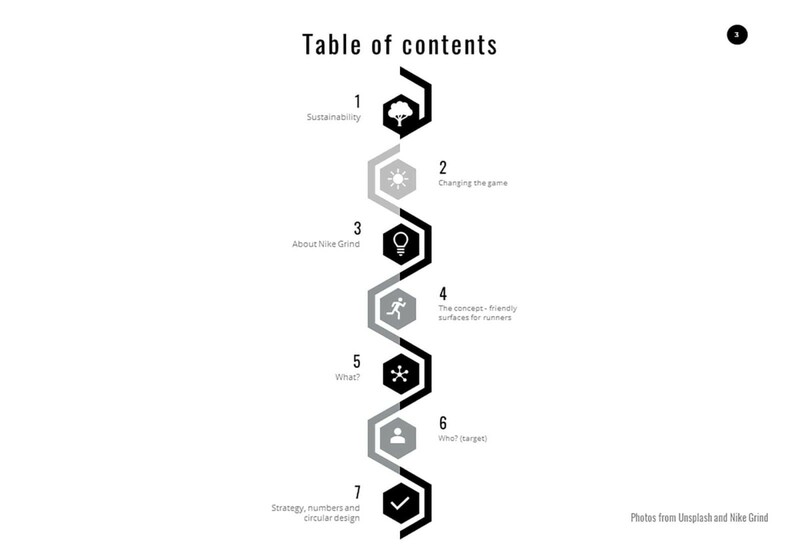 With it we had the possibility to create well designed slides that are both effective and engaging. The reasons why we have decided to use PowerPoint are related to design possibilities and versatility. Although, many will say that PowerPoint is old fashioned, there is more behind it’s simple usage. With this tool you can create professional presentations that are attractive and show information in a detailed way. What we had in mind when started to make the PowerPoint presentation was to keep a limited amount of words. The text had to be concise. The most important there was the message to be sent, so we tried to use white spaces or negative spaces. We kept the slides without too many images or graphs. 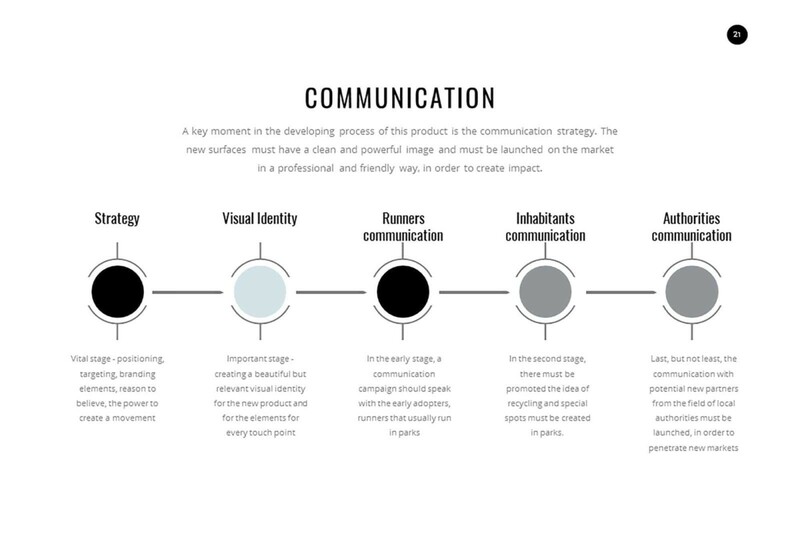 When building a professional presentation the graphs and images are the ones that help most. We tried to have, besides graphcs, pictures with people. That helps the reader to connect to a more personal level with the presentation. We put the information about to be presented under the shape of a story, so the reader could better understand the message. And we kept things simple. The story doesn’t have to be long and tiring, but it has to reach all the key points. We knew that the visual part of our presentation is very important in such a project, so we had to pay attention to the colors we used. We tried not to have too many or too bright colors on our slides. After all the visual part is an important help. Fonts are an important part of a presentation. They have a double role – they facilitate the understanding of the message and contribute to design, increasing the intensity of the impact over the reader. We chose a “clean” and simple font, that could highlight the content and balance the visual part.